I々2 like to thank you and the team, the service and food was first class. We do have requirements for catering for such events throughout the year, so I〆1 very glad to hear you can cover a wider area and we will definitely be in touch. Many of my guests have remarked on the high quality of the food at my 50th birthday party and my friend who lives in Prestwick has been passing on your details to her local friends. I knew it was good when I seen my mum hiding her plate so she could go up again! 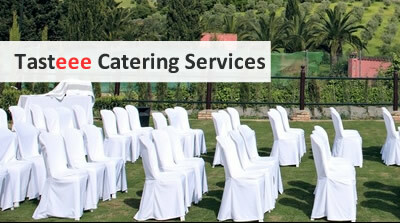 Outdoor Caterers, Catering for Outdoor Events of any kind. 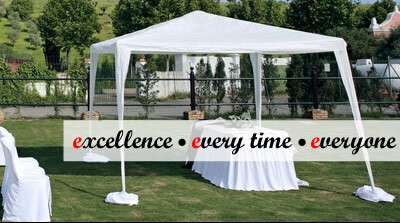 No matter where you need your catering done Tasteee Catering Services can provide everything you need from kitchen equipment to tables and chairs. From funerals to christenings we will provide a menu to suit your needs and budget. We posses the the professionalism and more importantly the resources to cater for any kind of outdoor event, we can expertly plan and execute functions as diverse as boardroom lunches, fine dining dinner parties, lavish marquee events, private cocktail parties, informal barbecues and spit roasts, and themed corporate hospitality banquets for up to 800. All food will be delivered and kept in a temperature controlled enviroment we will clean up when we are finished and remove any rubbish if needed. Our area of coverage: We cover the whole of Scotland. We can be on site for a single day, or for as long as is required.